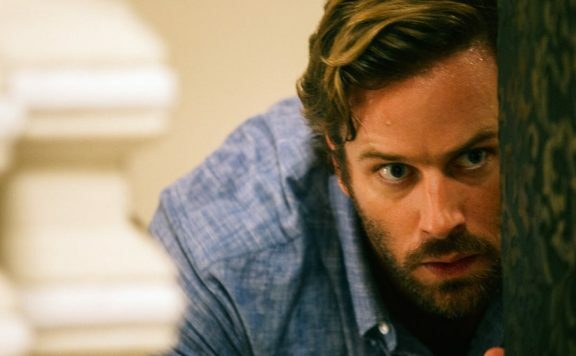 Aaron Neuwirth reviews Hotel Mumbai, a harrowing thriller inspired by actual events, presenting a challenge over the nature over the existence of films like this. There’s a feeling of irritation that comes with critiquing a film that concerns horrific terrorist attacks based on actual events. 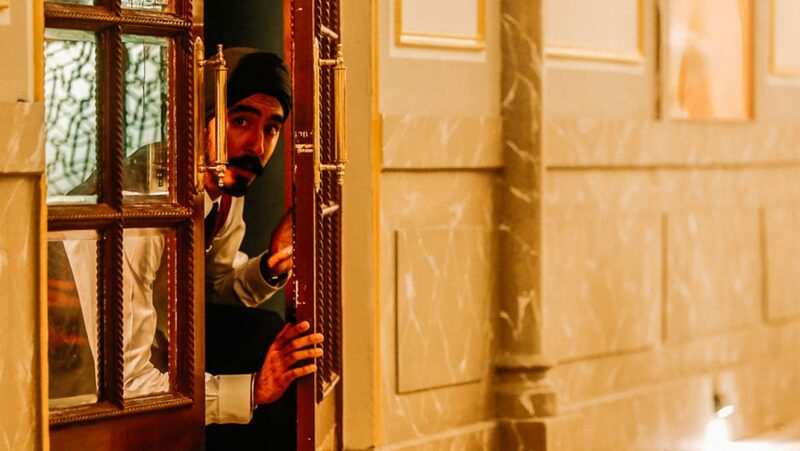 In this instance, it is not based on the quality, as Hotel Mumbai has plenty to recommend in terms of technical filmmaking skill, compelling, low-key performances, given the scenario, and an intense atmosphere that does not let up for a majority of the film’s two-hour runtime. The broader discussion concerns the necessity of a movie like this. How far can a dramatization go before it becomes exploitation of a traumatic event? Putting a focus on the film a few weeks after having initially seen it, I wonder if my favor towards it would be any different if I thought about it immediately following my screening. Let it be known that I am not specifically connected to any major tragedy that has recently occurred. 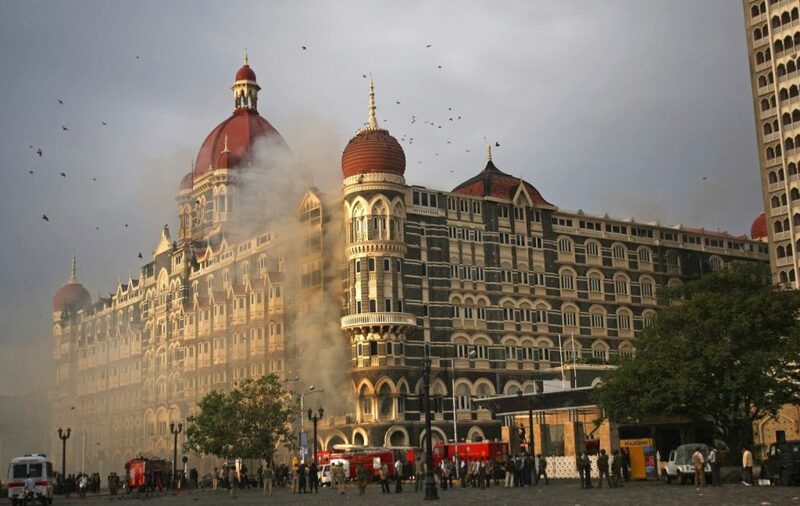 However, looking at Hotel Mumbai, a movie that dramatizes the 2008 Mumbai attacks (an event often referred to as 26/11), it’s hard not to reflect on how often we see major global tragedies, resulting in high body counts. The more morbid thought revolves around determining which of these events are fit for the cinematic treatment. At least some filmmakers have the sort of skill and respect it takes to deliver a worthy adaptation. Director Paul Greengrass comes to mind, with Bloody Sunday, Captain Phillips, and United 93 serving as standout examples of what can be accomplished with the right understanding (I’ve yet to see 22 July). Hotel Mumbai is the feature-length debut for director Anthony Maras, who indeed shows potential for future projects. The film he and his team have assembled shows the sort of understanding of how to capture tension, without drowning the film in unearned emotional turmoil. It is honestly hard not to have some sort of reaction to watching young men gun down innocent civilians, especially when put on display in a variety of different ways. However, the choice of perspective is critical here. 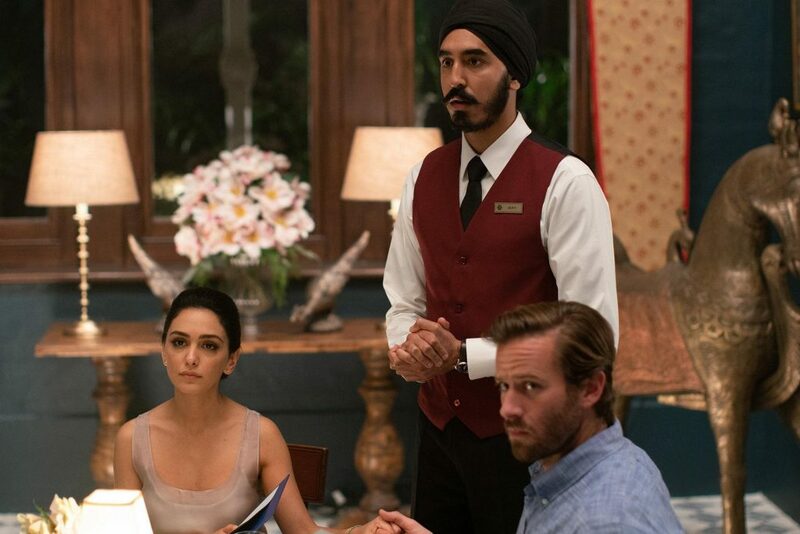 With an ensemble cast, Hotel Mumbai gets a lot of mileage out of the presentation of this story by keeping the focus spread out, so we can see many of the angles, without feeling cheated out of such a visceral experience. There’s no joy in seeing bloodshed here, but as opposed to following one person who continually avoids all the death seen around them, we are aware of how constant the danger is. There are some familiar faces present. The film begins by establishing the Taj Mahal Palace Hotel, which caters to an elite class, with professional staff on hand. It is here we meet the characters portrayed by Dev Patel, Armie Hammer, Nazanin Boniadi, Anupam Kher, and Jason Isaacs. There is no overdone characterization, with Patel serving as something closest to a lead character, but you get enough understanding of who these people, among others, are. Being set within a day, there’s no time for dramatic character arcs, but it is neat to see how your impression of at least some of these people adjusts, as the threat level heightens. Questioning how true these events are in terms of the characters we meet is something of a lost argument. I have no doubts many of the characters are amalgamations of various people and accounts of the event. The way this film unfolds likely chose to focus on what was reported on in the 2009 documentary Surviving Mumbai, with added elements to build a structure for the film. 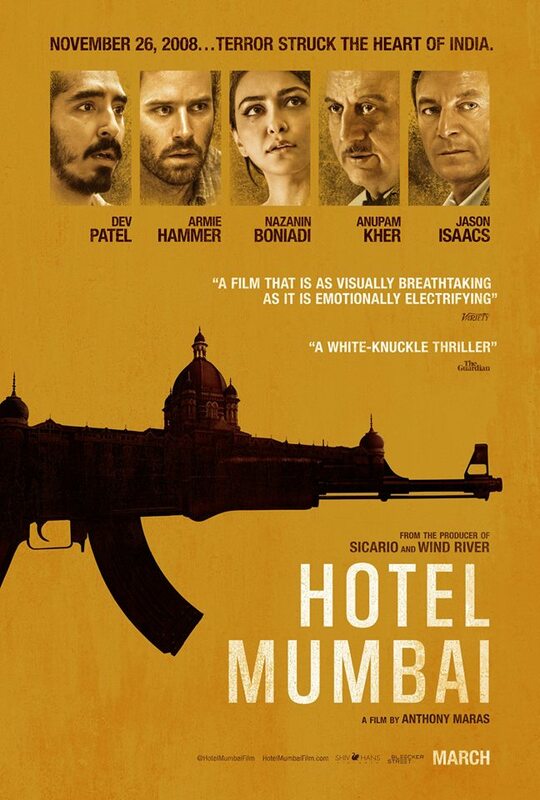 The key to Hotel Mumbai’s success is its choice to move from attacks that were taking place in many parts of Mumbai, and keep the focus on the Hotel as a whole, and not just a small group of people. It’s a tricky balance, and one that often leads to the darkest of outcomes, yet it’s very effective. But is this right? Is there a line this film crosses by showing so many people gunned down by assault rifles or executed at point blank range by gunshots to the head? As I think about the movie more, it’s clear that a select audience will be in the mood to willfully seek it out, while others will not. It certainly sheds more light on an international event that I, as an American, had only heard about to some degree before watching this film. Delving into the movie now, just a couple of days after another mass shooting, I try to think of the importance a film like this could have. Part of the issue I seem to have with Hotel Mumbai is how it doesn’t seek to do anything more than informing the audience of a tragic event by way of flashy filmmaking. It is handled respectfully, as it doesn’t make a sympathetic case for any of the terrorists involved, beyond showing that most of them were young, radicalized men. Similarly, the lack of too much characterization for the hotel staff and employees makes a stronger case for the film’s central idea, which is showing how these people were fighting to survive. But what else is on display here? Is something required to make a film like this worth the time? I pointed out Greengrass before when looking at United 93 specifically, a film with no major stars and a structure based mainly around air traffic control transcripts and information found on the black box of the plane, you can wonder what that film ultimately accomplished. I imagine some can dismiss movies like this entirely based on emotions surrounding the situation. Similar to Hotel Mumbai, what is chosen for the sake of dramatization means accepting the viewpoint of a filmmaker to guide you along through an event where an awful tragedy is on display. Is it enough to appreciate it simply because of the skill of the filmmaker? Asking questions in these reviews can be tricky, as I’m not offering many answers. I do believe Hotel Mumbai is an accomplished piece of work on a technical level. Opinions in regards to the necessity of a film like this may vary, but I can say there was a lot to admire in the structure of this film, the choice in relying on an ensemble cast to show the different perspectives and being always on edge based on the handling of tension throughout. 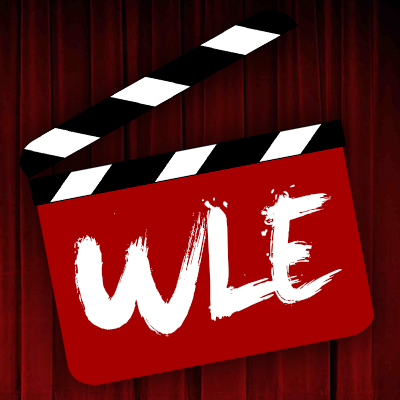 One could say it’s crossing over a line when it comes to developing a film for the entertainment industry that happens to concern a real-life tragedy, though I am not of that mind. Perhaps the best approach is to think about where this film will stand years from now. I’m not suggesting that Hotel Mumbai is bound to become a classic, but in the same way we look upon films that depict events from WWII or Vietnam, will this movie serve as a way to think back upon history? The difference, of course, comes from this movie being inspired by a very real terrorist act, which could come with other implications. However, with this being a film about those fighting for survival, I can still appreciate what Maras was attempting to capture and determine his reasoning as one of importance. He used the tools at his disposal to develop a compelling piece of cinema that also serves as a means of awareness, and that’s enough for me. TIFF 2018 Review: Hotel Mumbai is one of the most terrifying films ever made.